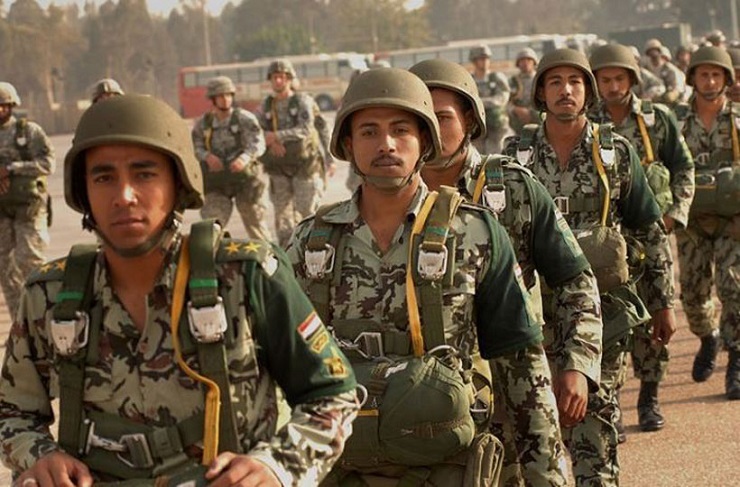 In early November, Egypt hosted the largest international war games that the region has seen to date, codenamed Arab Shield 1. This military exercise brought together military personnel and observers from a total of eight Arab countries. There’s no doubt that Arab Shield 1 marked a milestone on the road to the establishment of the so-called “Arab NATO”, the concept that Washington has been advancing for a long time in a bid to counter the growing influence of Iran. This fact can hardly be described as a secret, as Reuters revealed on the eve of the military exercise that the Trump administration officials were describing Arab Shield 1 as a way of pushing the Gulf countries, Egypt and Jordan towards creation of a regional anti-Iranian coalition. It’s noteworthy that Washington started to set the stage for the establishment of the Middle East Strategic Alliance (MESA) ever since Trump’s ascension to power. As it’s been pointed out, the “Arab NATO” is to be comprised of the six Gulf Arab nations, namely Saudi Arabia, the United Arab Emirates, Kuwait, Qatar, Oman and Bahrain, along with two more Middle Eastern nations – Egypt and Jordan. These days Washington would show much more interest towards Middle Eastern affairs, especially in the light of the rapid deterioration of US-Iranian bilateral ties, which means that the White House is going to look for a way to reinstate its primacy. The masterminds behind the “Arab NATO” believe that its composition should incorporate as many states as possible, while provoking little to no hostility from other regional powers. This military body is supposed to take responsibility of fulfilling such tasks as the creation of a unified regional air and missile defense systems, military training and joint exercises, along with performing counter-terrorism duties. If MESA is to prove its effectiveness in securing these goal, then one can quite possibly expect the member states to pursue a closer military cooperation, including the possible conclusion of a collective security treaty. It is noteworthy that in spite of its unofficial name, MESA is not going to be a purely Arab one. After all, it Israel played an active role in its creation as it must become a guarantor of Tel-Aviv’s security in the Middle East. As for the term “Arab NATO” that was coined by Reuters, it’s hardly a coincidence that it’s so widely used today as it must hide from Arab countries the fact that they are being summoned to serve as cannon fodder for Israel. In the light of the above stated goals of MESA, one can’t help but wondering: who is going to foot the bill for those fancy anti-air systems and the overall rebuilding of Arab armed forces? It is no secret that Jordan has been having problems in balancing the budget deficit, while Egypt will face an unprecedented economic crisis. And Qatar remains besieged by Saudi Arabia and the UAE, one can’t help but wonder, will Oman be up to the task of handling the Middle Eastern crisis single handedly? It’s evident that the Trump administration is building this new alliance to enable American arms manufactures to reap supper profits, acting under the pretext of facilitating the “necessary modernization” of regional armed forces. In the process, MESA states will find themselves bound by new financial obligations to Washington, which is going to make them more obedient when the time comes to go to war for Israel’s sake. One should add, that local players would fail to create a defense alliance of their own due to the lack cohesion among them. Therefore, the US is trying to downplay those natural differences those states would fail to overcome for decades by presenting MESA as a regional Sunni anti-Iranian front. There’s nothing new about this idea, but it would fail time and time again due to the overall inconsistency of Arab states. It has clearly manifested itself in the Yemeni war, where allies would struggle to establish a single chain of command due to the rivalry between Saudi Arabia and the United Arab Emirates. The ongoing conflicts within the Persian Gulf are not going to improve the coordination of local players either. In June 2017, Saudi Arabia, along with the United Arab Emirates, Bahrain, Egypt and Libya announced that they severed trade and diplomatic relations with Qatar, accusing the latter of sponsoring terrorism. A number of Gulf states would take a softer stance in their opposition to Qatar than Riyadh, but the situation remains volatile. There is no consensus among Arab countries regarding their approach towards countering Iran either, as Qatar and Oman would typically maintain stable ties with Tehran. At the same time, those states that were behind the creation of MESA, namely the United States and Israel are going to abandon the “Arab NATO” without a unified position on Iran, rendering the whole alliance meaningless, as its combined military power would lag far behind the forces that Iran can field at any given moment. It should also be added that the whole Iranian threat has been blown out of proportion. In the past, the United States would use its so-called anti-terrorist operations to prevent the hegemony of the Soviet Union across Eurasia, but now that Washington has succeeded in destroying a handful of regional powers through a chain of staged revolutions and coup d’etats, there is no force across the Middle East that can dominate other powers. As it’s been noted by a senior fellow at the Cato Institute, Doug Bandow, although Iran is depicted as the source of all evils, it is not technically capable of inflicting any considerable damage upon the United States or annex any of the neighboring territories through military power. Moreover, the Gulf Cooperation Council and its inability to defeat Syria through the use of proxy forces serves as a perfect example of a failed regional coalition. Not a day would go by over the course of the Syrian conflict that the Persian Gulf states wouldn’t resort to meddling in Syrian affairs through public statements, radical Islamist sponsoring and training, and arms deliveries. Yet, it has failed to achieve its stated goals, in spite of Israel supporting their cause through various behind-the-scenes operations. However, should the “Arab NATO” evolve into a force that can try to bring down Iran in a course of a conflict that Washington would initiate through some sort of a false-flag attack, there’s no doubt that the global oil trade’s most important maritime choke point, the Strait of Hormuz, will be closed. This strait remains the sole sea route that allows Persian Gulf states to export gas and oil to Japan, the US and the countries of Western Europe. Previously, the United States would have been terrified by this prospect, but today it’s oil importer no more, as it has been exporting hydrocarbons itself for a while now. Therefore, an armed conflict between MESA and Iran will benefit Washington greatly with its goals of expanding to new hydrocarbon markets of the world. That is why the real beneficiaries of the formation of the “Arab NATO”are the United States and Israel. In case of successful implementation of this idea, we will hear a lot of bragging about Washington achieving unprecedented successes in combating international terrorism and Iranian aggression, through the formation of an alliance that would be unimaginable without the unparalleled wisdom of the White House. As for the summit on the formation of the Middle Eastern Strategic Alliance Washington plans to hold it early next year, while being engaged in all sorts of preparations. Of course, this implies that the intensification of hostilities across the Middle East, especially in the Strait of Hormuz area, can also be expected to come early. But are the countries of the region going to cave in under the pressure applied by the West? Only time will tell.